Today, many couples who are committed to each other are holding off on marriage. The last Canada census in 2016 showed that common-law unions are continuing to become more the norm in all provinces and territories. In fact, in 2016, Statistic Canada said that more than one-fifth of all couples, or 21.3 per cent, were in common-law relationships. That’s more than three times higher than the 6.3 per cent in 1981. Do you have a cohabitation agreement? If you and your significant other don’t have a cohabitation agreement, you might want to discuss writing one. This legal document will stipulate how the household responsibilities should be divided, and who would get what if you separate. No one goes into a relationship with that mindset, but it’s better to safeguard yourself. These agreements are malleable, so they can reflect changing life circumstances. Don’t make assumptions. You love your partner and you’ve decided that you want to share everything with him or her, no holds barred—and that includes your home. The law, however, may not look at it that way. Property rights are different if you’re legally married. 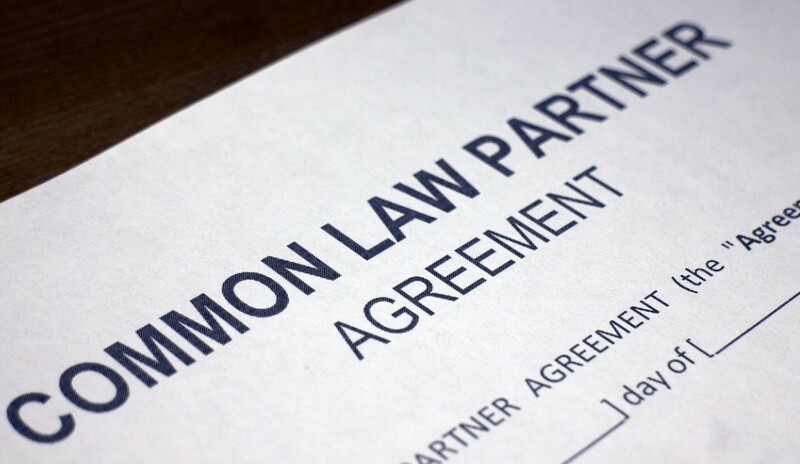 If you’re in a common-law partnership, you may not automatically share in what would be considered a matrimonial home. Chances are, if your partner dies, his or her portion of the estate won’t automatically go to you, so it’s very important that each of you has a will in which the other is included. If you don’t have a will or don’t update it as life changes, the law may step in and divide property—which would include the home you shared with your partner—according to provincial and territorial laws. There are different rules for different provinces, territories. About five years ago, British Columbia decided that common-law couples, after two years of living together, should have the same rights as their married counterparts. That isn’t so in every province, so you need to check your provincial laws. In any case, in Alberta, you’d be considered common-law partners after you’ve lived together for at least three years—or are living together and have a child together. That’s two years in Nova Scotia, Newfoundland, Saskatchewan and the Northwest Territories, while in Ontario, PEI and Manitoba, it’s three years. As for Quebec and the Yukon, they don’t recognize common-law partnerships at all.